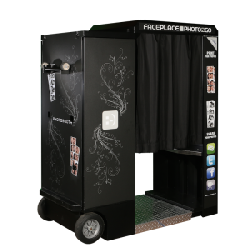 Fun Makers provides photo booth rentals in Ohio including Akron, Cleveland, Canton and Youngstown. 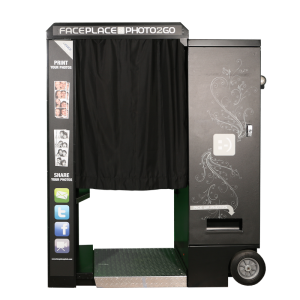 Our brand new Photo 2 go booth is much more than just a photo booth! Create a variety of Photo strips or 4×6 prints at the touch of a button. You can even superimpose a new hair style on your photo. Includes virtual prop box with tons of interactive effects including fun hats and silly hair!